Cheeseburgers Are Great, But Mac-And-Cheeseburgers?? Even Better!! 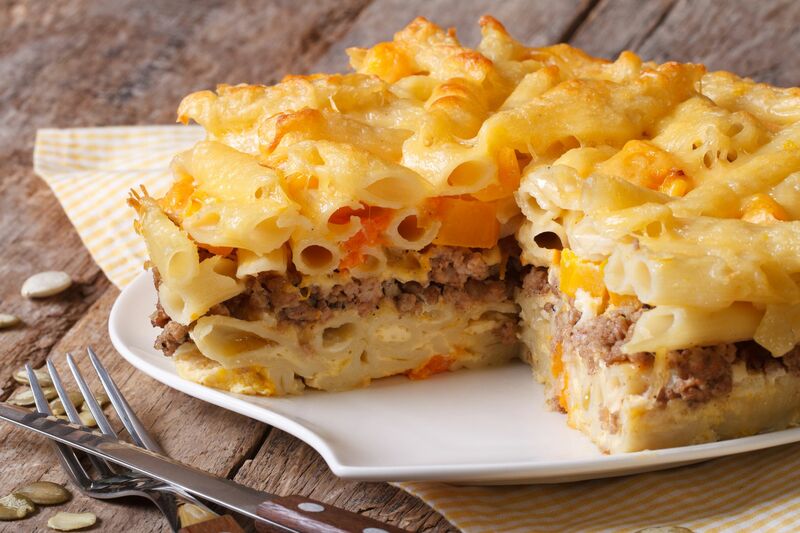 While we’ve always had to choose between our two favorite dishes before (mac-and-cheese and cheeseburgers), now we don’t have to! 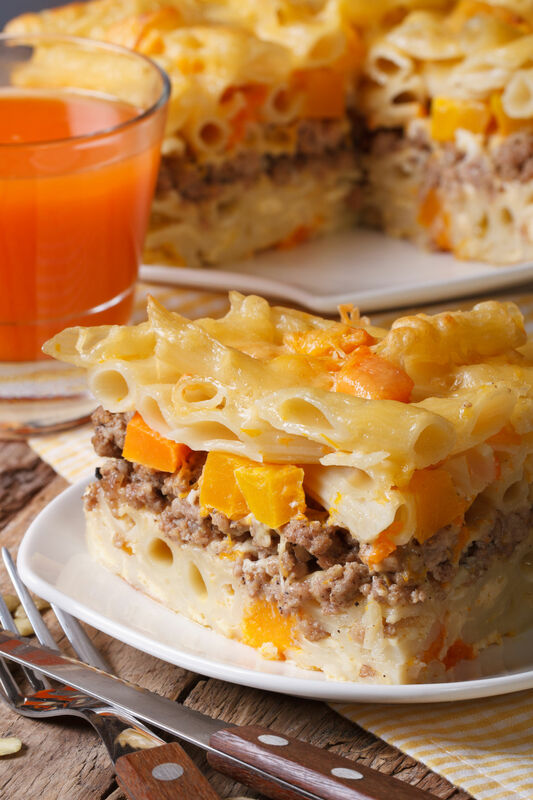 Before you roll your eyes, allow us to elaborate; This dish is the equivalent of a tasty burger packed into a macaroni and cheese burger…that is, cheesy pasta creates the buns that so lovingly sandwich the ground beef and veggies. Don’t write this one off, folks, it’s a crazy delicious dish that gets people’s attention and keeps ‘em coming back for more – we love it!! Preheat oven to 350º F and lightly grease a 9-inch pie dish with butter or non-stick spray. Bring a large pot of salted water to boil and cook pasta according to packaging directions, or until al dente, then drain and set aside. In a large skillet or pan over medium-high heat, cook beef, seasoned with salt, pepper, garlic and onion powder, until browned on all sides. Transfer to a bowl and drain fat, reserving 1 tablespoon. Return skillet to heat and sauté bell pepper until softened. 6-8 minutes. Add bell pepper to browned beef and set aside. Heat 1/2 cup butter in a large saucepan over medium heat until melted. Whisk in flour and cook for 1-2 minutes, or until roux is smooth and paste-like. Slowly whisk in milk, then mix in cheddar cheese and cook for 10 minutes, or until thickened. Season with salt, pepper, dried mustard powder and nutmeg. Stir pasta into the sauce and stir until coated, then transfer 1/2 pasta to baking dish. Top with beef and veggies, then add remaining pasta on top. Sprinkle parmesan cheese over the pasta, then place in oven and bake for 25-30 minutes, or until parmesan is golden brown and dish is cooked through.